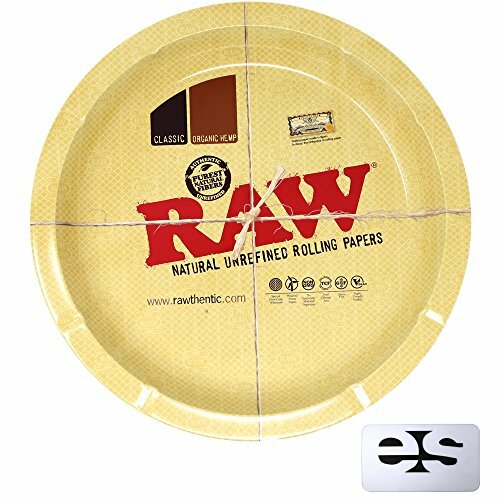 These RAW rolling trays serve their purpose perfectly. The edges are designed with extra height and rounded corners to ensure no tobacco gets stuck anywhere. The round tray is great for just doing a quick roll or if you need one to travel with. Grab your favorite pack of rolling papers, a good blend of filler, and this rolling tray and start making some smokes. Perfect Travel Size, Slip in your Pack and Go! Dimensions: L 12.1" X W 12.1" X H 1.25"
Ideal Size for Rolling, Sturdy and Durable. If you have any questions about this product by RAW, contact us by completing and submitting the form below. If you are looking for a specif part number, please include it with your message.